Michael Brüggemann (PhD, University of Hamburg) is Professor of Communication Research, Climate and Science Communication at the University of Hamburg. 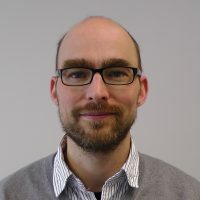 He has coordinated a multi-annual research project at Jacobs University and the University of Bremen on the transnationalization of public spheres and is currently leading a project on journalistic framing of climate change. Dr. Brüggemann has authored or co-authored several books and articles published in leading international journals. For more information and access to a number of these articles, visit his website at bruegge.net. While at AICGS as a DAAD fellow during March and April 2014, his work compared climate journalism in the United States and Germany by mapping the major sources of online news and commentary and exploring the production networks behind different websites. Are professional journalists still the major sources of online news on climate change? What new types of news outlets have emerged and can they be expected to deliver the kind of information and commentary that serves the publics’ needs? In order to provide preliminary answers to these questions, Dr. Brüggemann conducted an analysis of the leading websites on climate change and conducted interviews with climate journalists and other experts on the online debate on climate change in Germany and the United States.